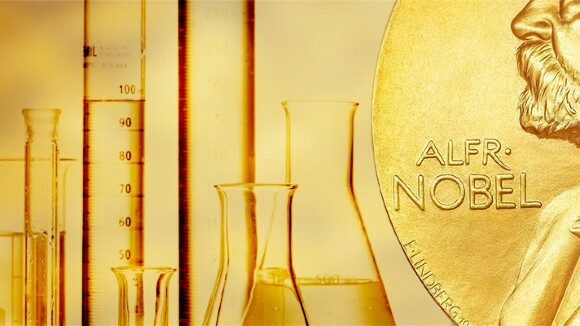 The 2018 Nobel Prize in Chemistry was awarded to Frances H. Arnold “for the directed evolution of enzymes” and the other half jointly to George P. Smith and Gregory P. Winter “for the phage display of peptides and antibodies”. Together their pioneering work harnesses the processes of evolution for the generation of novel biological compounds. These tools have transformed the production of pharmaceuticals such as monoclonal antibodies and renewable fuels. This Collection presents research, review, news and comment articles from Nature Research to celebrate the award. The collection content is editorially independent and the sole responsibility of Springer Nature. Directed evolution optimizes protein function through successive generations of random mutation, artificial selection and screening. This design algorithm provides a reliable approach to engineering proteins with new and useful properties, and helps us to understand how natural evolution occurs. Recent advances in areas such as natural product biosynthesis, synthetic biology and the development of biosensors are providing new opportunities to directly harness evolutionary pressure to identify and optimize compounds with desired bioactivities. This article describes innovations in the key components of such strategies, highlights pioneering examples that indicate their potential, and discusses the scientific gaps and challenges that remain to be addressed to realize this potential more broadly in drug discovery. The intermolecular amination of C–H bonds is an enabling transformation for the synthesis of nitrogen-containing molecules; however, developing catalysts for this class of reactions is very challenging. Now, an iron-based enzyme for this reaction has been engineered, demonstrating that a protein can confer a difficult new function upon an otherwise unreactive base metal. A collaborative approach between experiment and simulation has revealed a single mutation in the F/G loop of the newly described nitrating cytochrome P450 TxtE that controls loop dynamics and, more surprisingly, the regioselectivity of the reaction. This mutation is present in a subset of homologous nitrating P450s that produce a previously unidentified biosynthetic intermediate, 5-nitro-L-tryptophan. Recent reports on directed evolution broaden the scope of evolutionary enzyme engineering. A genetically encoded platform can produce chiral organoboranes in bacteria with high turnover, enantioselectivity and chemoselectivity, and can be tuned and configured through DNA manipulation. The inventor of humanized monoclonal antibodies and cofounder of Cambridge Antibody Technology, Greg Winter, muses on the future of antibody therapeutics and UK life science innovation. This protocol describes a phagemid-based intracellular evolution approach to generate and select for proteins with improved biological characteristics. The authors describe methods for the directed evolution of artificial endonuclease and ligase enzymes by X-SELEX, from diverse repertoires of synthetic genetic polymers (XNAzymes). The protocol has been applied to four different XNA chemistries and three different reactions, and it is, in principle, applicable to many more. An artificial aldolase has been optimized using an ultrahigh-throughput microfluidic screening assay. The evolved enzyme exhibits excellent stereoselectivity and broad substrate scope. Structural studies suggest that a Lys-Tyr-Asn-Tyr catalytic tetrad, which emerged during directed evolution, is responsible for the >109 rate enhancement achieved by this catalyst. The combination of computational protein design and single-site saturation mutagenesis enables engineering of allosteric transcription factors to respond to new small molecules. A computationally designed enzyme that was evolved to accelerate a chemical reaction 6 × 108-fold approaches the exceptional efficiency of highly optimized natural enzymes and provides valuable lessons for the creation of more sophisticated artificial catalysts. An artificial metalloenzyme is compartmentalized and evolved in vivo for olefin metathesis—an archetypal organometallic reaction without equivalent in nature; the evolved metathase reveals broad substrate scope and compares favourably with commercial catalysts. A genetically encoded peroxidase with improved sensitivity, APEX2, is reported for electron microscopy and proximity labeling at low expression levels. hotoexcitation of a catalytic enzyme enzyme’s co-factor is shown to change the reactivity of the enzyme, enabling it to carry out a non-natural enantioselective dehalogenation of lactone molecules. Allosteric effectors have the ability to modulate protein-ligand interactions in a controlled fashion. Now a novel class of antibody-like affinity reagents, synthetic antigen binders or sABs, are generated in vitro that target either the open or closed form of maltose-binding protein. These sABs can be engineered to control ligand-binding affinities by modulating the transition between different conformations. Through use of a split-intein pIII, soluble expression phage-assisted continuous evolution (SE-PACE) enables two simultaneous positive selections to rapidly evolve proteins with improved expression while maintaining their desired activities. Ancestral sequence inference, directed evolution, structural analysis, NMR, and molecular dynamics simulations illuminate how enantioselective activity arises during the evolutionary trajectory of chalcone isomerase from a noncatalytic ancestor. A previously designed enzyme used a reactive lysine to initiate cleavage of a carbon-carbon bond. Directed evolution of this construct now shows a drastic reorganization of the active site to use an alternative catalytic lysine and suggests considerations for future design efforts. Metals serve as unique structural and functional elements in biology, providing a wealth of reactivities not available in a wholly proteinogenic active site. The computational redesign and directed evolution of zinc enzymes to create a phosphotriesterase provides insights into how these elements can be utilized in the development of new functions. The use of phage-assisted continuous evolution (PACE) with both positive and negative selection enables the rapid development of orthogonal aminoacyl-tRNA synthetases with high activity and selectivity for noncanonical amino acids. Design of a proximity-dependent split RNA polymerase system and its optimization by phage-assisted continuous evolution (PACE) enabled the development of a family of activity-dependent split RNA polymerase biosensors regulated by small molecules or light. Directed evolution uses laboratory-based evolution to enhance the properties of biomolecules, primarily to generate proteins with optimized or novel activities. This Review discusses the diverse range of technologies for the directed evolution of proteins, particularly methods for generating diversity in the gene library and approaches for screening and selecting for variants with desired properties. The relative strengths and limitations of these approaches are highlighted to guide readers to appropriate strategies. How can we improve the design of monoclonal antibodies (mAbs) to treat cancer? In this Review, George J. Weiner discusses the characteristics of mAbs that can affect their efficacy, the current approaches that use mAbs in cancer treatment and the numerous ways to enhance the potential of these mAb-based techniques. Therapeutic antibodies have already improved the lives of many people living with autoimmune diseases such as rheumatoid arthritis and Crohn's disease. But there is still room for improvement. Here, the authors review how the current therapeutic antibodies work and how they might be enhanced to increase efficacy and extend their use. Combinatorial antibody libraries have emerged as powerful tools for generating therapeutic antibodies, which are some of the most successful drugs in the world today. This Review provides a brief overview of how these libraries are generated, before focusing on the immunological insights that have arisen from their study. More than 30 monoclonal antibody-based therapies have been approved for clinical use in the past 25 years. By looking at the strategies that have been used by pharmaceutical companies to develop these products, this Timeline article provides insight into the challenges that will be faced in developing the next generation of therapeutic antibodies. Over the past ten years, protein engineering has established biocatalysis as a practical and environmentally friendly alternative to traditional forms of catalysis both in the laboratory and in industry. In this Editorial, we discuss recent advances and challenges in the field of biocatalysis and introduce some relevant work you will find in this issue of Nature Catalysis. Synthetic biology involves the creation of biological systems for new applications by modifying and reassembling biological components. Two views are presented here on the best way to engineer these components so that they reliably generate organisms with desired traits.